Injecting water into your engine sounds crazy, doesn’t it? Turns out it has been done before (way back in WW2) as a means of cooling the air/fuel mixture thereby increasing engine performance. German engineering giant Bosch wants the technology to go mainstream, and is already utilizing it in a production BMW automobile. 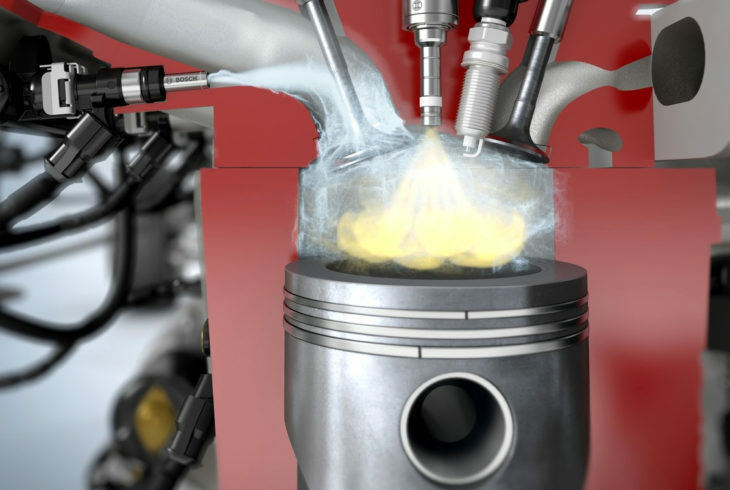 According to Bosch, the tiny amount of water vapor injected into the intake port offers engine cooling that would otherwise fall to unburnt fuel. Apparently the benefits (including lowered emissions, improved fuel economy and improved power) are greater in forced induction engines, but offer some benefits to just about any ICE. Here is a link to a press release from Bosch concerning its water injection system. Below is an infographic, as well as an informative video.